Perversion of facts, outright lies - there is no limit. Along with Muslim fanaticists, today there is no greater anti-Semite in the West than the writer, the journalist, the essayst, all those who profess to belong to the "progressive" camp. 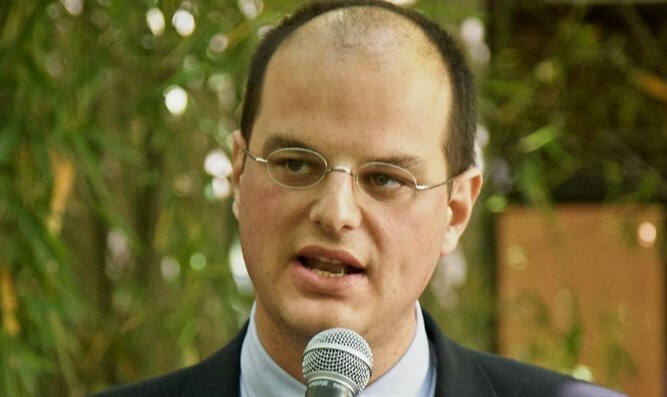 Those who fabricate the most severe and dramatic lies against the Jewish people and the State of Israel do not come from the popular mob, but from the intellectual milieu. The theatrical opera revolves around Fritz Pfeffer's fabricated sexual assault of Margot Frank, Anne's sister. Pfeffer is the Jewish dentist who hid with the Franks and died in the Shoah. Playwright Ilja Pfeijffer in the past made statements against the Jews. A year ago, the playwright wrote about Leon de Winter, perhaps the most famous Dutch Jewish writer and himself author of a work on the Frank family: "If all Jews were like Leon de Winter, I would see the reason for anti-Semitism". The shameful accusation came after De Winter's decision to abandon his historic Dutch publisher for hosting the book of a Belgian author, Dyab Abou Jahjah, a Hezbollah advocate who incited violence against the Israelis and spoke of the "feeling of victory" following the September 11 attacks in the USA. Too much, for De Winter. In 2015, Pfeijffer then published a poem in which he speaks of a Palestinian Arab who lost his home and whose daughter was killed "by Jews who have trampled our holy land with boots that can not do any harm because they are Jews, because of what happened before" (during the Shoah, ndr). I then spoke with De Winter to hear his opinion. 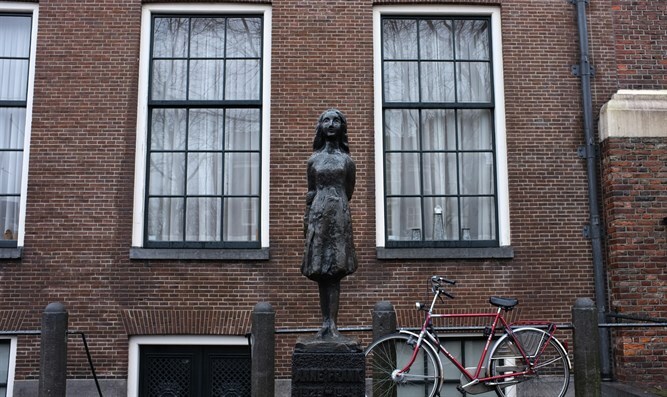 "Pfeijffer wants to show that Anna Frank's story is a parable of cruelty, with two families arguing in a home," Leon de Winter told me. "These writers touch the pinnacle of perversion and anti-Zionist fanaticism. For these people there is no limit. It is the end of the holiness of the facts, everything that is created again becomes true. There is no limit to manipulating history." "For me this is the purest form of anti-Semitism. Today it is said, for example, that there was no Jewish Temple in Jerusalem or that modern Jews do not descend from biblical Jews but from a Caucasian tribe. And now this attack on Frank. Judaism is removed from history. They use the Shoah against Israel. The Jews become the new oppressors. 'Look what they do to the Palestinians',' look at those two families who quarreled inside Anne's house." "Now the lie has entered the main Dutch theaters. This piece is part of the mainstream. The lie now comes from the progressive artistic world. From Jerusalem to Anne Frank, history is used against the Jewish people. It's something malevolent, Satanic, evil". If a well known Dutch playwright, who made anti-Israel statements, can erase the Jewish identity of the author of the "Diary", then Anne Frank's name can stay on the train that the Deutsche Bahn would like to dedicate to her. The "Anne Frank train". The Holocaust in Europe, along with the discussion about Israel, resembles the debate on fake news. It is the object of ridicule and the art of the grotesque. There lies the biggest anti-Semitic crime.